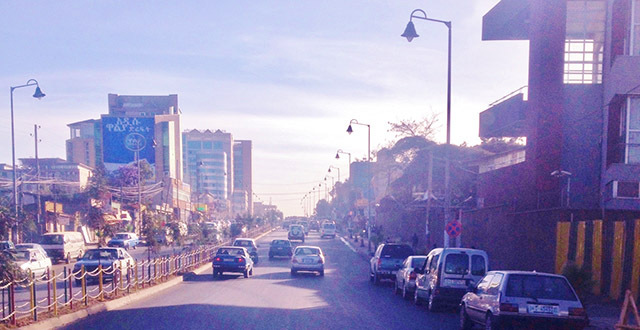 The Old Airport area of Addis Ababa is where the rich reside. Once a desolate and an undesirable part of town to live in, Old Airport has completely went through a major transformation over the past two decades. It is now full of embassies, embassy residences, and the international community school. Old airport is located in between Sarbet and Tor-Hailoch and Mekanissa. After the sudden rise to fame of Old Airport as a wonderful neighborhood to live in, the prices of apartments and houses have skyrocketed. The cheapest rent I’ve heard of in that area is a tiny studio apartment in a shared building for $300 USD per month. To rent an unfurnished two bedroom apartment close to Victory Road, be prepared to pay close to a thousand dollars a month. It is the same with houses, the rent for a small townhouse with two bedrooms is also a little shy of a thousand dollars in Old Airport. And just like most expensive areas in Addis, the most sensible way to shelter oneself is to find a shared house or apartment. You can find a few shops where you will be able to shop for most of the things you need to get through the month within a few hundred meter stretch along Victory Road. Fantu and Shoa supermarkets provide the residents of Old Airport with most of their groceries. There’s a flower shop just opposite ICS on Victory Road if that’s your thing. Old Airport also has a Home Depot-style place. It’s a huge store and has heaps of different types of wares you can choose from. Lafto Mall where it is full of shops and stands where you can shop for different sorts of things from clothes to electronics. Compared to most of Addis, Old airport offers the most types of recreational activities in one area. Just at Lafto Mall you can find a gym and a swimming pool, so there goes your Sunday. There’s also a gym on the Adam’s Pavilion building for a reasonable membership fee. Or if pumping iron isn’t your thing and you want a more relaxed sporting experience, there’s the golf club up the ring road and the bowling alley inside Lafto Mall. The golf club is a nice place to go on your weekends to shoot some golf balls and relax. They have membership for those who want to go regularly but anyone can go there, rent a set, and play at any time. The bowling alley inside Lafto Mall is the better one of the only two in town. It has a bar inside to make the experience of tossing heavy balls down a lane a bit more tolerable. If you live in Old Airport, you can find both very nice restaurants and local tibs places without breaking a sweat. Everything is within a few minutes walk from your home especially if you live along Victory Road. Tivoli – Mostly known for their pizzas, Tivoli also has a wide variety of options to choose from on their menu. The food has always been nice each time I have been there but the service was not the best in the world. Aba Guben – A really cozy restaurant with delicious food. But the one funny thing I’ve noticed about Aba Guben is, even though they have the most Ethiopian name possible, they do not serve a single Ethiopian dish whatsoever. Tomoca – Tomoca is the best place to get coffee according to most coffee lovers. With Ethiopia being the origin of coffee, serving the best coffee is kind of a big deal. They also pack and sell their coffee if you want to take some home. Unfortunately I am not a coffee person so I cannot vouch for them myself. Old Airport is a mostly residential area and not a place you go to for a party. The only parties I hear of are the ones the residents throw in their homes. Other than that, except for a few local bars by the military compound and the small bar sections inside some of the restaurants, Old Airport can get pretty quiet at night.